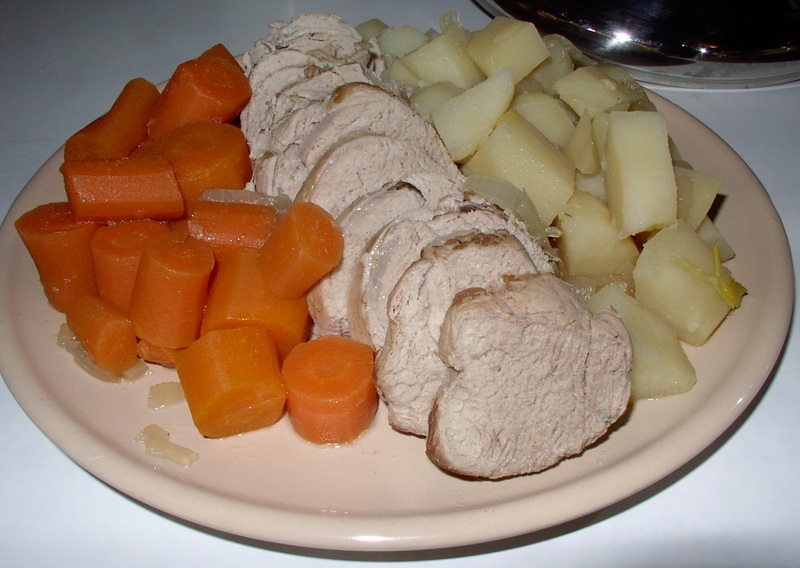 This nikujaga-style pork roast is a recipe I received from friend Tom Galloway. He got the recipe from his neighbor, Leko. He sampled the dish one day not too long ago and just had to have the recipe which he is now sharing with us. Tom was thoroughly pleased with the tenderness of the pork and the rich flavor of the broth. Leko says that she usually cooks Japanese at home and that this dish is typical of her modern-day homeland. Tom smilingly says, "It must be one of Tokyo's most asked for dishes." Some consider Nikujaga (meat and potato) dishes to be Japanese comfort food. Vegetables, to include potatoes, carrots and onions, or others of your choosing, appropriate quantities for 4 or 5 persons. Peel and cut into bite sized pieces. Put pork roast in pan with cover, Add daikon and garlic. Add chicken broth and just enough water to cover the roast. Over high heat, bring to a boil. Add ginger and soy sauce. Reduce heat to maintain simmer. Cover and cook for 1 hour. Add your selected vegetables. Continue to simmer until pork is fork tender, vegetables are tender and broth has soaked through the vegetables. Check for saltiness and add salt if needed. 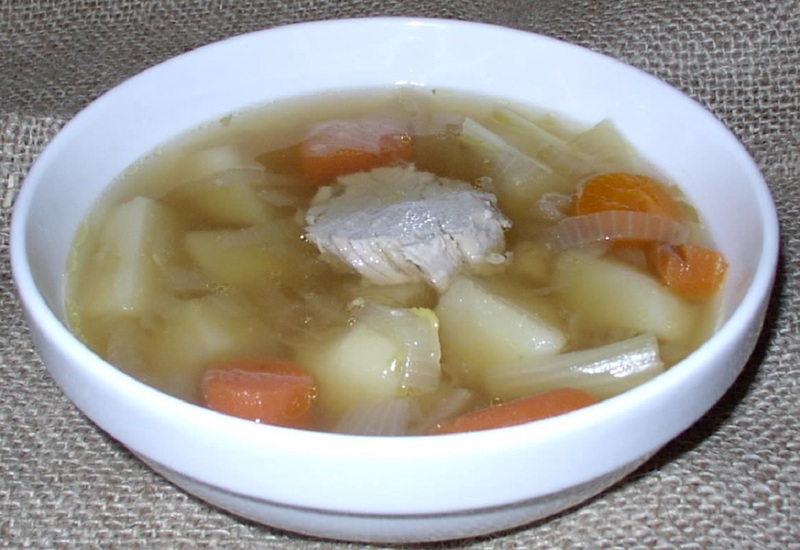 While the meat, potatoes and carrots make a tasty plate of food, the broth and vegetables, with perhsps a slice of pork, makes a wonderful. satisfying soup.